WASHINGTON — Army aviation has found itself at a “crossroads” where the current fleet of CH-47 Chinook, AH-64 Apache and UH-60 Black Hawk multi-year contracts are “sunsetting” and the Army must decide when and how it takes the leap from the current fleet to a far more advanced rotorcraft, according to Brig. Gen. Wally Rugen, who has taken the lead on the service’s Future Vertical Lift modernization effort. But even before the Army makes the decision in the next couple of years on whether it’s ready to take the plunge and back off its older fleet in favor of a new one, the service has submitted initial requirements for its future family of helicopters and those are awaiting approval by Army senior leadership, Rugen said. The approval of those initial requirements will come even before a prototype effort — the Joint Multi-Role Technology Demonstration (JMR-TD) — wraps up. The effort is supposed to help refine requirements for an FVL program of record. There are two demonstrators that will fly over the course of the year to educate the Army in terms of what is in the realm of the possible. 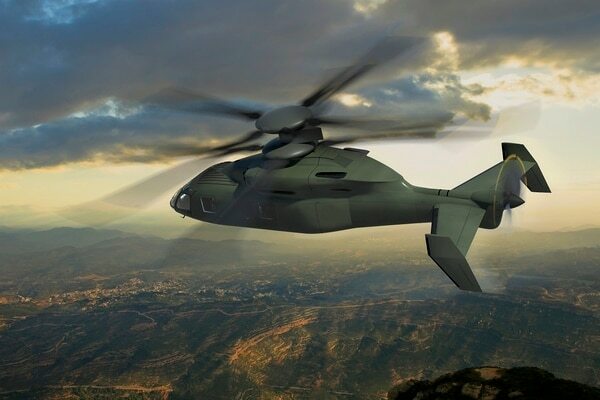 One aircraft — Bell’s V-280 Valor tiltrotor — is already flying while the Sikorsky-Boeing developed aircraft — the SB-1 Defiant coaxial helicopter — is delayed by roughly a year and won’t fly until after this summer, but, as the team has promised, before the end of the calendar year. With some major requirements encompassing the airframe, its mission systems architecture and even future unmanned aircraft systems close to approval, the Army is making progress despite the fiscal 2019 budget request indicating some early schedule slippage. The Army’s ultimate goal is to initially field a new aircraft in the early 2030s although there is a push to make that happen sooner. When asked about the apparent delay in the process, Rugen said, “I don’t see it that way,” noting the funding profile remained consistent across the five-year budget plan. 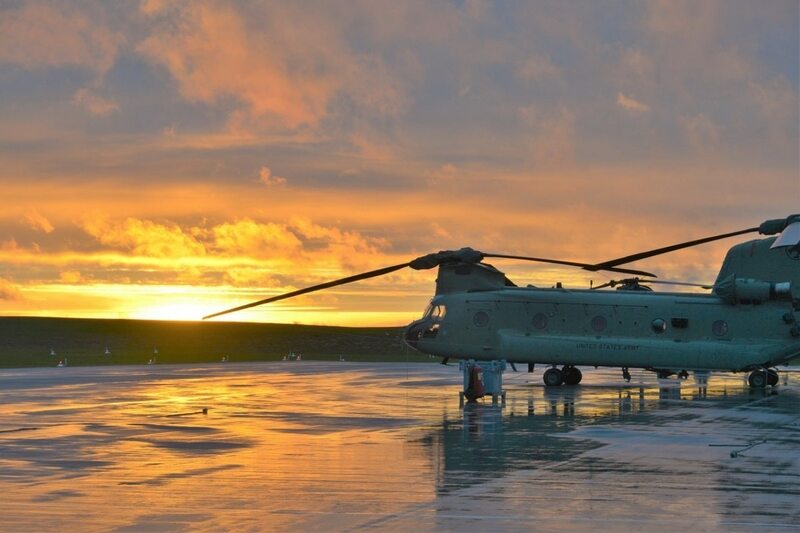 Rugen is in charge of a cross-functional team formed specifically to focus on vertical lift modernization, the third most important modernization priority of six the service has laid out. Each priority is now managed under a CFT, which will be house as part of the Army Futures Command that will stand up this summer. The CFT has already put a great amount of thought into what a future fleet will look like, how it will operate and how it will contribute to multidomain battle, a guiding concept recently formalized within the service. The Army plans to build an open systems approach for its FVL aircraft, meaning it will create its own digital backbone that sets up the architecture, so any mission system or sensor developed to the backbone’s software and hardware standards can plug in akin to how apps are developed for Apple or Samsung devices. That system will be demonstrated again in 2020, Rugen noted. The Army’s CFT is also analyzing what types of unmanned aircraft systems it wants to adopt for the future fleet and while the service is planning demonstrations of prototypes for a future tactical UAS, Rugen said that is just a part of what the service is considering. For instance, when looking at optimizing for large-scale, multidomain combat, the Army doesn’t see just pairing UAS with manned helicopters like it does now, but in more advanced formations. For example, if the target isn’t an armored vehicle, perhaps there’s something cheaper than Hellfire that can do the job, he said. Modular missile technology, he explained, gives you a kinetic menu to choose from for the front-end of the missile, from flares to flechettes to armored penetrating shape charge. “I think it is something that is disruptive,” he added. The team is also looking at increasing the range of those missiles and how to get after better price points. The CFT is also interested in using science and technology efforts to help offload the cognitive burden from the air crew, so it is planning to invest in holistic situational awareness capability, according to Rugen. Among that is how to use artificial intelligence in situations of degraded visual environments to navigate safely to the ground. DVE has been a problem the Army has been trying to solve for well over a decade. The team is working across some of the other CFTs to help deliver certain effects on the battlefield, Rugen said. For example, to improve air-to-ground integration and operating in a GPS or satellite denied environment requires partnering with the Network and the Precision Navigation and Timing CFTs. And the FVL CFT is working with the Long-Range Precision Fires team on how FVL, in a forward position, could serve as a means to detect and target threats for a Fires team. “We have the means to target for LRPF at the ranges that LRPF is going to shoot,” Rugen said.